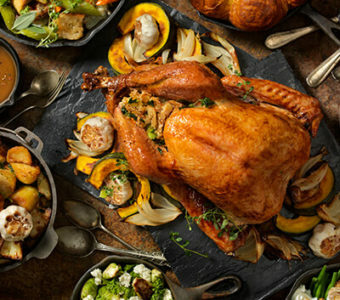 Thanksgiving Day kicks off four days of family feasting — but not just on food! Load up on family fun all weekend long. Here’s a start on all kinds of activities in Central Ohio over the Thanksgiving holiday weekend. Fill up on as many as possible! More lights, but with a twist! The Ohio Chinese Lantern Festival at the Natural Resources Park at the Ohio State Expo Center includes lighted displays created by Chinese artists, handicrafts and nightly performances. Let your artistic side loose! Make a stop at Open Studio at the Columbus Museum of Art’s JPMorgan Chase Center for Creativity Studio. Dabble in exploring ideas and solving creative challenges with friends and family. 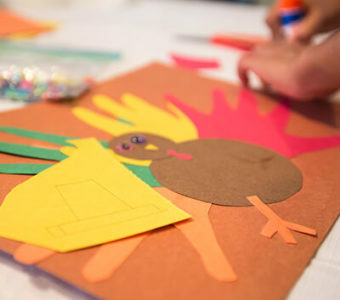 Learn about animals of Ohio at Ohio History Center’s Thanksgiving Family Friday. See birds of prey, snakes and wolves up close and learn about their lives and habitats. Want to scout out some of nature’s best yourself? Take in a morning Bird Walk at Emily Traphagen Park. Ohio Theatre will be having a live performance of “A Christmas Carol” running from Nov 24-26th. Holiday Fun at Kleerview Farm (just south of Mansfield, OH). Bring the kids out to see Santa’s Barnyard express and pick up a Christmas tree for the holiday season! Ready to take in some hockey? The Columbus Blue Jackets take on the Ottawa Senators at 7pm November 24th. Come out to see some of the best high school hockey in the state of Ohio at the 19th Annual Chiller Classic. The tournament runs from Nov 24-26th at various Chiller locations.